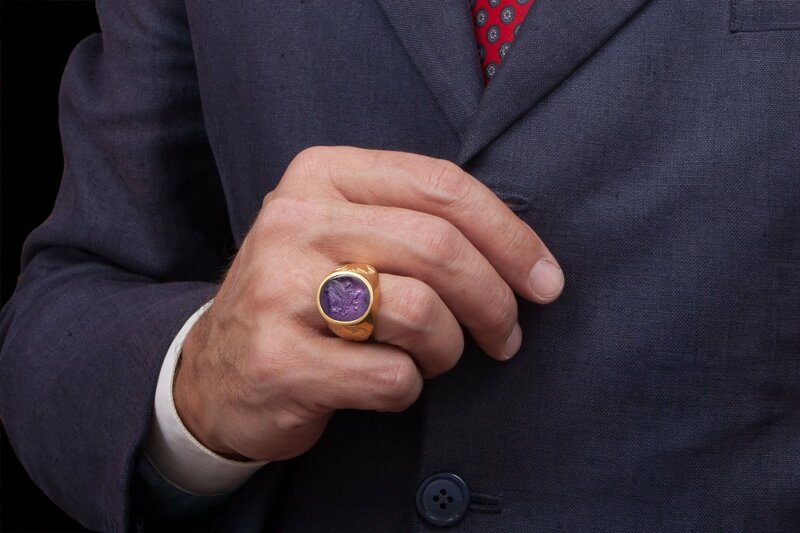 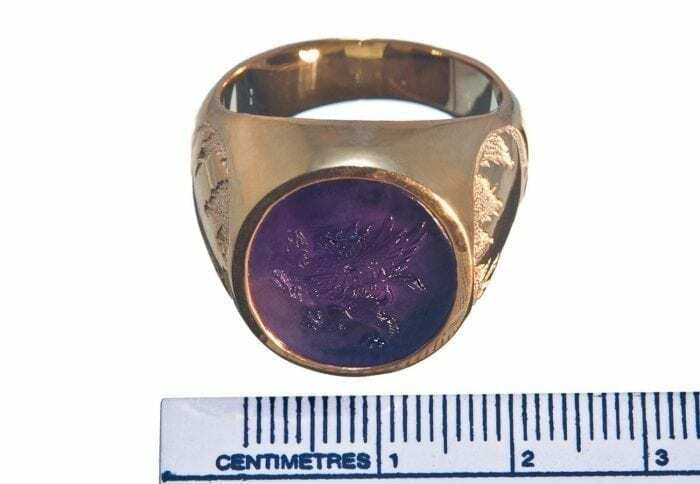 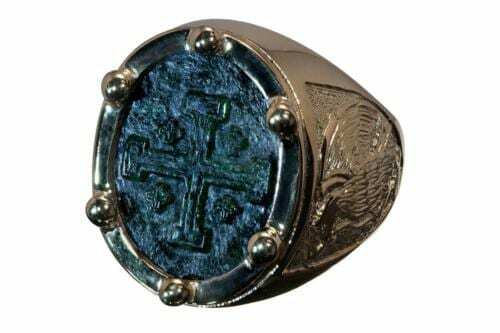 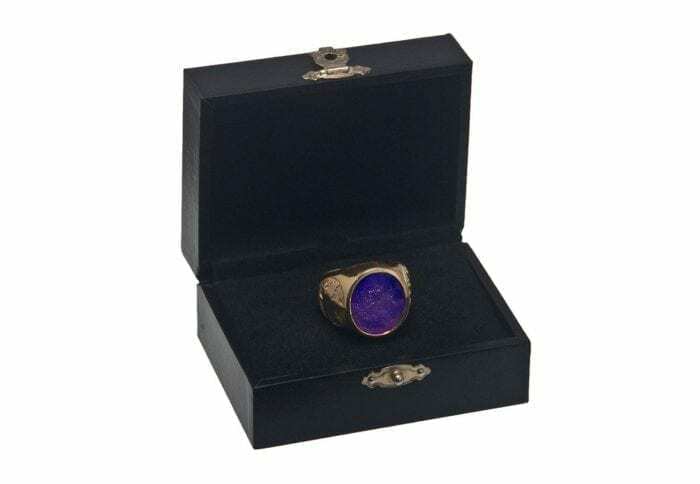 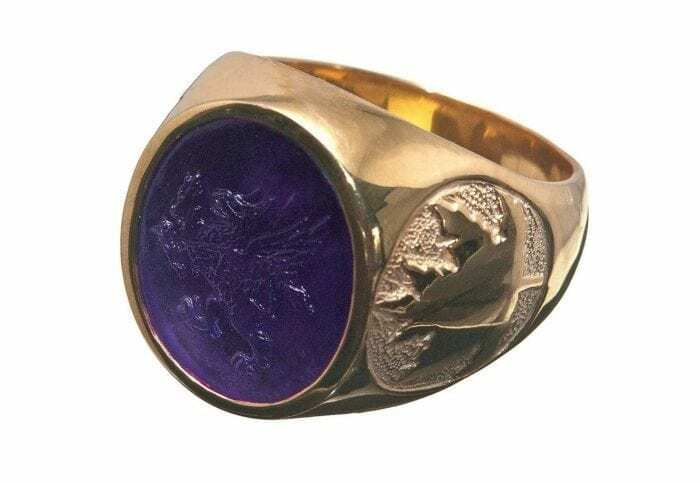 A heraldic griffin family crest has been expertly sculpted to a piece of genuine Amethyst to create this spectacular man’s crested signet ring. 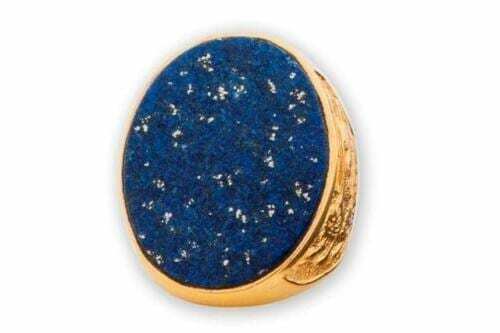 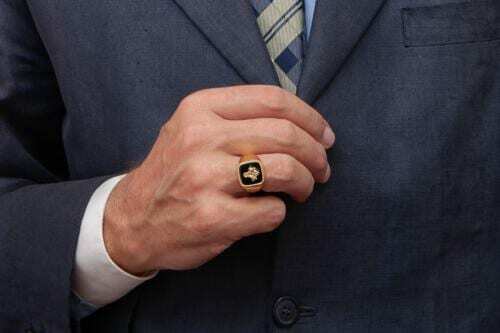 The oval is mounted to a gold plated (5 Microns 18K Gold) sterling silver chassis which feature maple leaf shoulders thus adding a Canada touch to this man’s Regnas signet ring. The oval face measures 18 x 16 mm (11/16 x 5/8 inch). I include sizing the ring to fit your finger in my price. 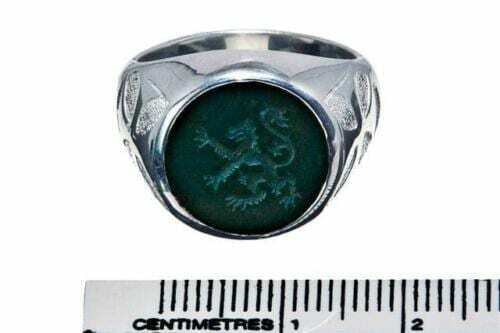 So please tell us your finger size when buying..